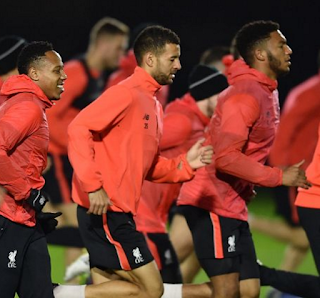 Photo Proof: 'Outstanding' Liverpool U23 star trains with Clyne and Gomez. Surprise start at Everton? Is Kevin Stewart in contention for a place in Liverpool's squad for Monday's trip to Everton? It certainly appears that way. Stewart trained with the first-team squad on Friday evening, which suggests he may be in Jurgen Klopp's thoughts. "I've said it a few times, but he is the best challenger in the squad. An outstanding challenger, and in one-on-one situations, he is really ugly to play against. He is a good footballer as well". It would be a huge surprise to see Stewart start the game, but after making the bench for Middlesbrough, he's probably nailed to be included in Monday's matchday squad. On a related note: Joe Gomez trained with the first team squad once again, but Joel Matip sat out the session, which suggests that he will miss Monday's game.